Our main goal is to produce and to customize our diamond tools according to the needs of our customers. We offer not only our own products, but also tools and machines from the best european stone and construction industry suppliers. Thanks to our technologies, we are able to renovate your older tools – cheaper than the new ones while maintaining quality. Company of CZ-Diamant-D,s.r.o. was established in 1992 with a main for producing top quality diamond tools for a stone and building industry on a local and also foreign markets all around a world. Beside above mentioned interests, we are also focusing our production for a artificial stone, ceramics and glass industry. In our product portfolio you can find all kinds of standardized diamond tools as a diamond blades, core drills and diamond wires. We also provide full customization and optimization of a tool for our clients to achieve a top performance with best tool quality / price ratio. 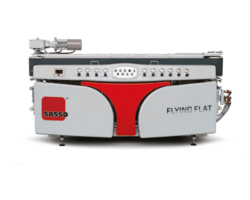 To achieve this goal, we always rely on a worldwide famous technology from Germany, Dr. Fritsch. 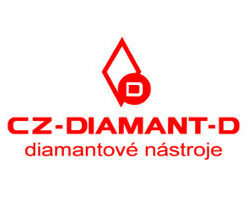 The establishment of a company CZ-Diamant-D,s.r.o. was realized in 1993 by Mr. Ing. Jan Mikulecký senior with a major capital investment from a Italian company Diamant-D,s.p.A. The production facility of a company was set in the city of Hradec Králové, in the industrial zone. During years, company became well known around a local market. Up to the year of 2010, to company continued to buy a shares of a Italian side and finally became independent. To assure clients that company know what they are doing and what is a future perspective, company implemented a quality management ISO 9001. All employees are trained in providing a high quality service to our customers to achieve customers satisfaction. Hand by hand with a diamond tool production we also advice our customers with a processing machinery. Thanks to more than 25 years of experience in diamond tools and processing machinery, we will be happy to provide you our knowledge and find a best solution for you.